At one point or another we’ve all been tricked by dumb hoaxes. It could be false evidence of fairies, extinct giants, or maybe even Bigfoot. But whatever it is… they are all mental. 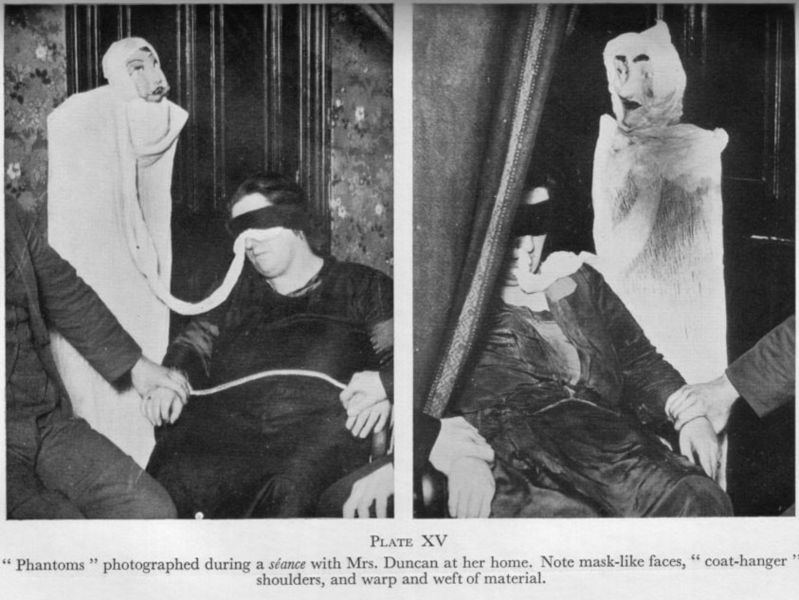 Here are the 10 best paranormal hoaxes ever. In 1917, two photographs emerged appearing to show mythical creatures. The first photograph was of a young girl admiring a group of dancing fairies. It was the first of five photos, collectively known as the Cottingley fairies. They gained huge interest for several years, with many accepting them as evidence for the existence of fairies. The second photo showed a winged gnome with a girl named Elsie Wright. The photos were examined by several photographic technitions, who said they show no signs of being fake. 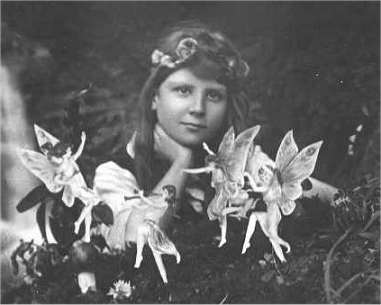 The cottingley fairies received a lot of publicity in the UK. But they faded from memory after the 1920s. It was only in the 1980s that it was revealed as a hoax. 65 years after it started, the two girls involved admitted they were just cardboard cut-outs of fairies. Although they were adamant that the fifth and final photo wasn’t fake. They always said it shows real fairies. The well to hell is an urban legend and a creepy pasta – but it started off as just one of the many unknown paranormal hoaxes. The legend is that the Soviet Union once drilled a hole so deep into the Earth that it broke through into hell. The hole was said to be in Siberia. A recording device was lowered deep into the hole, where it picked up the sounds of millions of souls being tortured. This recording spread quickly through internet message boards in the mid 90s, with many believing it to be evidence of a gateway to hell. But the recording was eventually found to be edited sound effects from a 1972 horror movie. It was a complete hoax. There are many different versions of the legend. In 1992, an American newspaper printed a report that Satan himself had killed a group of miners within the hole. 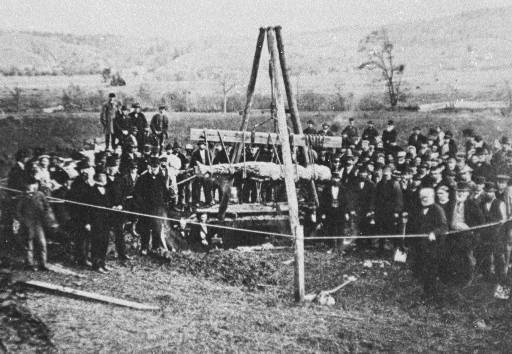 The Cardiff giant was one of the most successful paranormal hoaxes in history. In the 1860s, a man named George Hull created a fake corpse – more specifically a fake corpse of a giant. He then buried the giant on his cousins farm in Cardiff, New York. 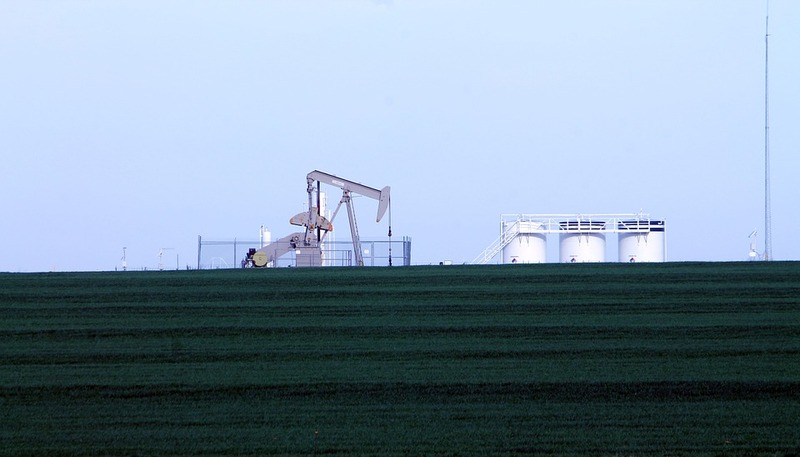 In 1869, the giant was discovered by workers digging a well on the farm. Word of the giant quickly spread, with most people believing the hoax. It was kept under a tent with a constant cue of people willing to pay money to see it. So many people wanted to see it that P.T. Barnum created his own fake giant. Barnum said that his own giant was genuine – but that the Cardiff giant was fake. For this, he was sued by the Cardiff giant’s owner, who was forced to admit the whole thing was just a hoax. Go back to the 18th century and you’d find it common for Japanese fishermen to create strange monsters. 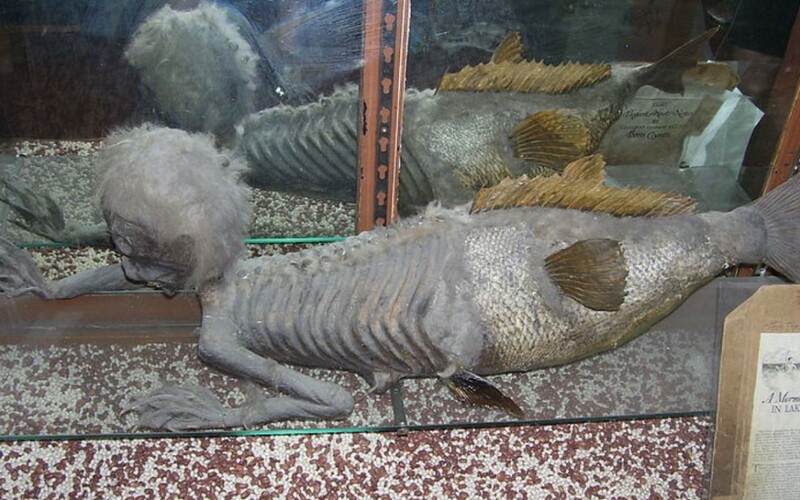 They would take the lower half of a dead fish and sew it to the upper half of a dead monkey. They would then claim it to be the corpse of one single hybrid animal. In 1822, Japanese sailors sold one of their creations to an American ship-master. Two decades later, it was shown to the sideshow pioneer P.T. Barnum. Barnum soon put the creature on show as he knew it would be a big earner. 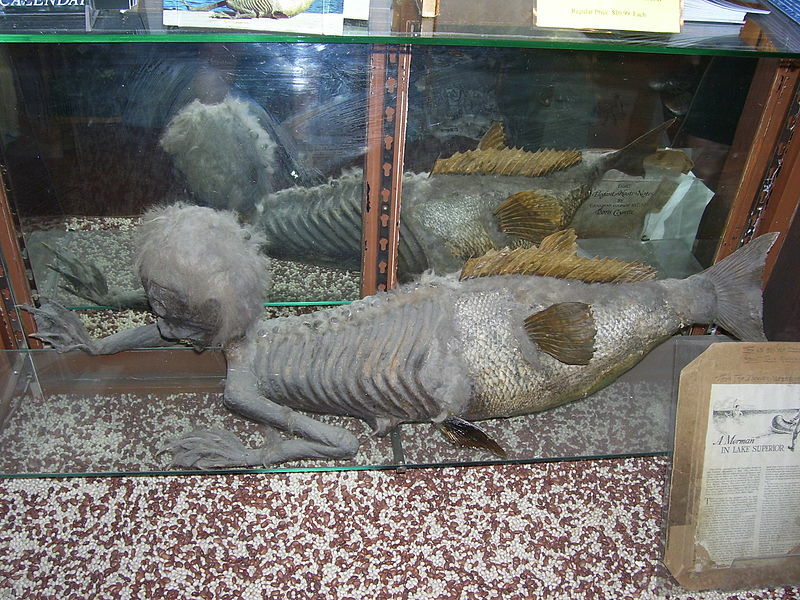 He called it ‘The Feejee Mermaid’ – a strange animal captured in the waters near Fiji. He managed to display it in the American museum of natural history. But only for a short while until it mysteriously disappeared and was never seen again. You might have noticed that Barnum seems to be involved in quite a few paranormal hoaxes. In the 1970s, supernatural activity was reported at Highgate. 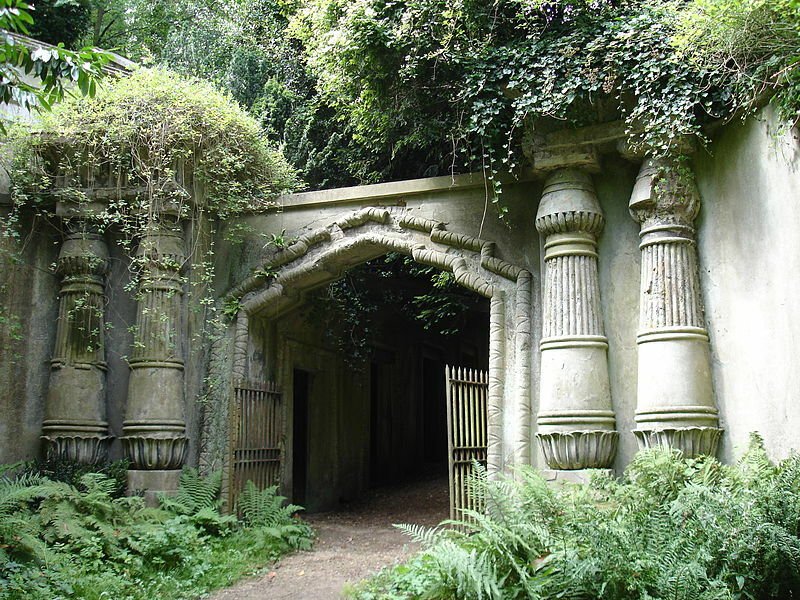 Highgate is a Victorian cemetery in London, with over 50 thousand graves. About 40 years ago, newspapers began reporting encounters with a Vampire, who often stalks the cemetery. Several people claimed to have been attacked by the Vampire. This sparked the interest of a local Catholic, and self-proclaimed Vampire slayer. He claimed to have burned the Vampire to death. Few people believed him. He said the Vampire was a medieval man from Romania. The man practised magic and managed to achieve immortality. For some reason, his body was taken to Highgate in the 19th century and the Vampire rose from the dead soon after. He had no evidence for these claims and the original reports was just a hoax. Crop Circles are brilliant because they are blatant hoaxes, yet people still believe them. They have been found since the 17th century. But only became well known in the 1970s when they started popping up all over the place. Many people believed they were left by aliens or witches. But the group who started the trend in the 1970s have admitted it was a hoax. Some people dispute their admission. 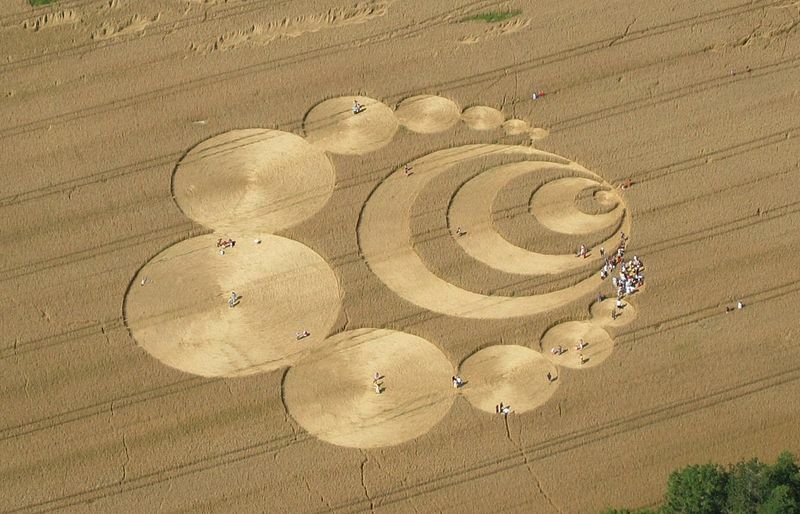 These people believe it would be impossible for humans to make the crop circles. Helen Duncan was the last British person to be arrested for witchcraft. It was 1944 and she was sentenced to 9 months in jail. Her crime was pretending to be in contact with the dead and pretending to have the ability to summon ghosts. She showed off this ability in a series of obviously fake photographs and was involved in several staged paranormal hoaxes. Her claims were debunked on numerous occasions and with ease. In 1967, a bizarre piece of footage emerged. The footage appears to show a Bigfoot walking calmly through woodland in Northern California. The video soon gained international fame. Many experts have studied the footage and concluded it to be genuine. But to me it still seems like a man in a monkey suit… and nothing more than that. 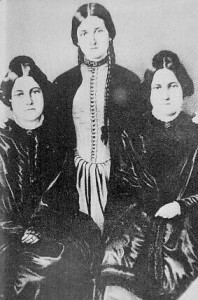 The Fox sisters basically created the spiritualist movement in North-America. They had huge success in the 1880s, claiming to be able to contact spirits. In front of live audiences they would speak to peoples dead relatives and demonstrate knowledge of the supernatural. Many famous people would come to see them use their powers. They inspired eight million people to follow in their footsteps and become spiritualists. But in 1888, two of the Fox sisters admitted it was all a hoax. Yet some still believe their powers were genuine. Long after they died, a wall collapsed in the house where they grew up. Behind the wall was found a skeleton – which is weird. 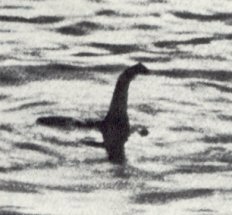 Over the last few centuries there has been a lot of debate over whether the Loch Ness monster exists or not. One thing we do know is that this photo is fake. It was taken in 1934 and published by the daily mail newspaper. For many decades it was thought to be genuine. But in the 1990s, modern analysis told that the object in the photo was less than three feet long. So it had to be a hoax. It was actually a toy submarine modified to look like a monster. The toy monster was placed into the waters of Loch Ness and the photo was taken. So they did quite well to fool people for 60 years. I wonder how many paranormal hoaxes will eventually be revealed in the future with advanced technology.